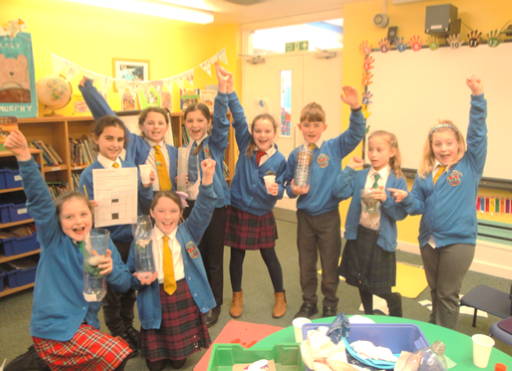 Science Club showing their water filters and explaining how they work..
Well done to the Science Club who have received a certificate of congratulations for completing their STEM challenge. They had to construct a method of transportation for tomatoes from a mountain to a village market, without damage to the tomato. 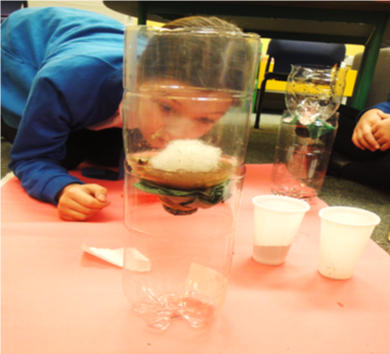 The STEM club had a great time producing and trying out their designs for a water filter for our Ditch the Dirt challenge during Global Citizenship fortnight. All our STEM projects take three to four weeks to complete, going through the planning and research process first. The team rose to the challenge of costing materials for this initiative...making two filter systems in each team and testing ideas, to find the most cost effective and safe method of producing drinking water, in a compromised environment. As part of Global Citizenship week, the Science Club began designing a water filter system to help communities in areas where water supplies are compromised due to bad drainage and pollutants. They also had to use their maths knowledge to think about financial cost to villagers. Next week the teams will try out the efficiency of their water filter designs. 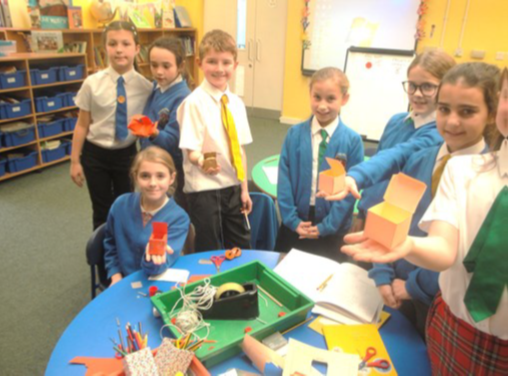 St. Mary's Science Club has expanded their interest and knowledge to include other STEM—Science Technology Engineering and Maths activites. Using different research methods, we are now looking at designing and making, a means of transporting soft fruit from a high level to a lower level base camp using a pully/cable car method. 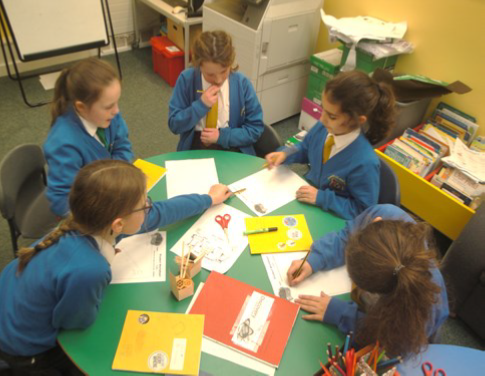 As part of the challenge, pupils had to be able to work as a team, using good listening and debating skills.They were able to challenge each other with critical thinking and sharing ideas. Two teams produced different ideas...they will now put all these into practice as they use a variety of resources to build and operate their chosen transport system! Keep watching for the results! 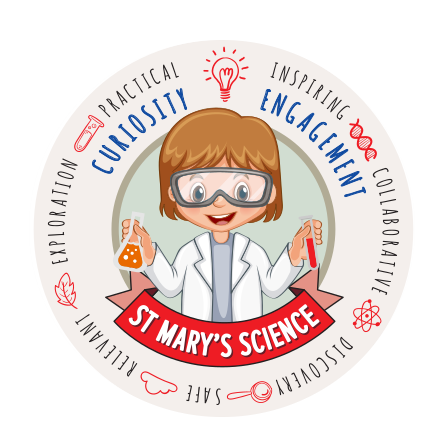 Uploaded by St Mary's Primary School on 2018-12-05.